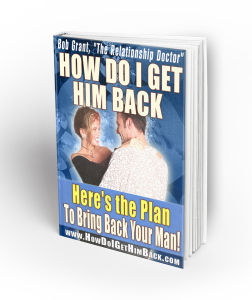 How Do I Get Him Back gives you a specific plan for the next 8-12 weeks to save your relationship before it is too late. As you begin reading please keep this in mind…don’t expect to agree with everything in this plan. In fact some of the strategies are counter-intuitive to what most women who do (or advise you to do). It is critical that you don’t fall into the most common mistakes most women make after a breakup: calling him often, begging and pleading, making angry phone calls (or text messages). I realize this is a tough time, but for the next few weeks follow this plan that has been used by hundreds of women around the world to bring back a man into their arms, even when they were almost certain he would never come back. Melt Your Man’s Heart – Have you ever seen one of those lucky women who men go absolutely nuts over? Or maybe you see the woman that effortlessly wraps men around her finger without even trying and wonder how she does it… This is an excellent compliment to How Do I Get Him Back…I even wrote an recommendation for it!